Click here to order YOUR bees! For your top bar hive - you DO want package bees. 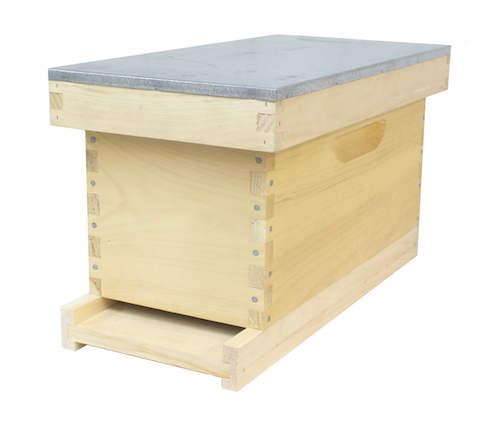 For your top bar hive, you DON'T want a Langstroth "nuc". Just what is a nuc? A nuc is the nickname given to a "nucleus colony". It works like this - you buy a nuc, which is a small starter hive of bees - usually five frames. You take it home, remove five empty frames from your Langstroth hive, replace them with the five frames of bees from the nuc. Voila! - instant beehive. If you are using Langstroth equipment, this works great... because it comes on Langstroth equipment! 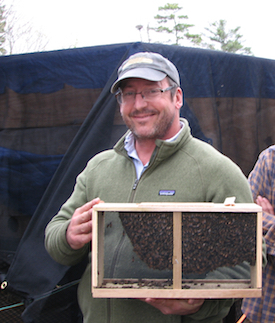 Sometimes novice beekeepers don't realize that a conventional "nuc" isn't going to fit in a top bar hive. And they may not be quite sure what questions to even ask, so the company they are purchasing from doesn't even know how to keep them from making this error - buying bees that won't work in their top bar hive. But the real reason you want PACKAGE bees and NOT a NUC? But the deeper reason to avoid a nuc is to avoid introducing contaminated foundation wax into your natural wax top bar hive. Wax foundation has been found to contain 170 different chemical contaminants, including the pesticides for varroa control that have been in use since the 1980's. Natural clean beeswax? Contains none of those. Let the bees make their own wax - it is cleaner and it supports their natural systems. Make sense? We thought it would. You know how the saying goes: "It's All About the Wax!"